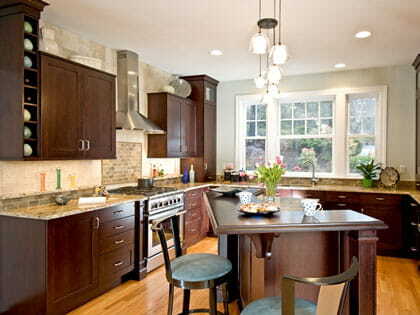 Holland Kitchens & Baths specializes in unique and custom kitchen designs for your home. Why settle for a cookie-cutter design when you can have a kitchen that truly matches your family's style and needs? 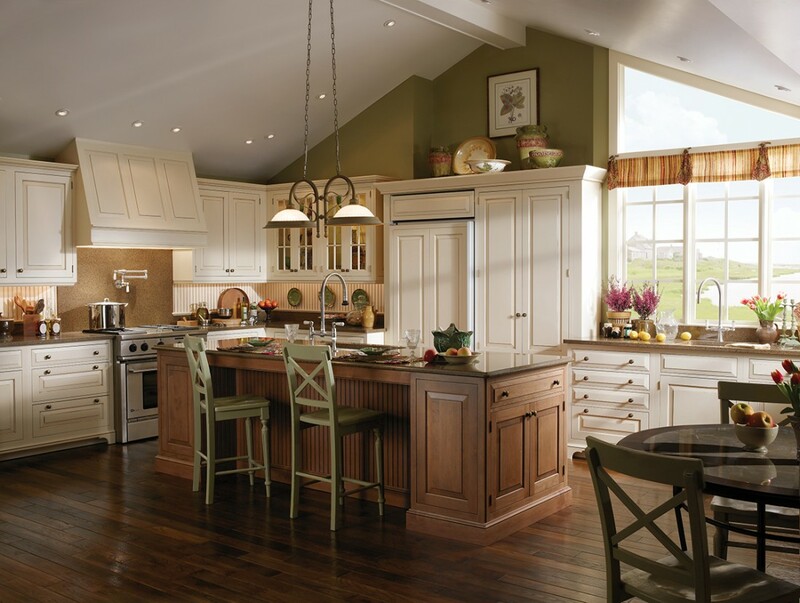 Serving West Hartford, CT, Farmington, Avon, Simsbury, West Simsbury, Canton and the surrounding areas, Holland Kitchens & Baths has a qualified staff of award winning designers and craftspeople to make the custom kitchen of your dreams come to life. From a simple kitchen renovation to a problem layout with a tight budget - we are the high-end provider for your entire kitchen remodeling needs. Holland Kitchens & Baths will provide the best in customer service and guidance, lending you their creativity and expertise to make your ideal custom kitchen a reality. We specialize in turn key service, and will stay with you throughout the remodeling process. It all begins with a plan. Discuss your needs and wants with your family, decide on a budget, and browse our gallery to see some of the many kitchen design options that are available to you. You can also put together a scrapbook of pictures and images to act as inspiration for your design. Call Holland Kitchens & Baths to make an appointment to see our extensive showroom full of flooring, finishes, surfaces, and appliances. Talk with a representative so that they can answer any questions you may have about your design or the remodeling process. If you are comfortable and like what you see, Holland Kitchens & Baths can start to work for you. Not only will we discuss design details with you, but we will also come out to your home to take measurements and provide detailed drafts, elevations, and floor plans of your proposed design. We will discuss cost with you, and will modify the design until it's perfect for your style, needs, and budget. Once a design has been finalized, Holland Kitchens & Baths goes the extra mile and stays with you through the installation process. Detailed execution of your kitchen design is paramount, and we will meet with the craftspeople working on your home to ensure a quality installation. If need be, we will also help to coordinate your kitchen renovation and work with your builder or architect to make sure the installation goes smoothly. Holland Kitchens & Baths will even arrange to have your old cabinets, finishes, and appliances removed so your space is clean and uncluttered before the kitchen remodeling and installation begins. From floor to ceiling and start to finish, Holland Kitchens & Baths is dedicated to providing only the highest quality kitchen designs, customer service, and workmanship. Family owned and independently operated since 1986, we serve discerning customers throughout West Hartford, Connecticut and surrounding areas. 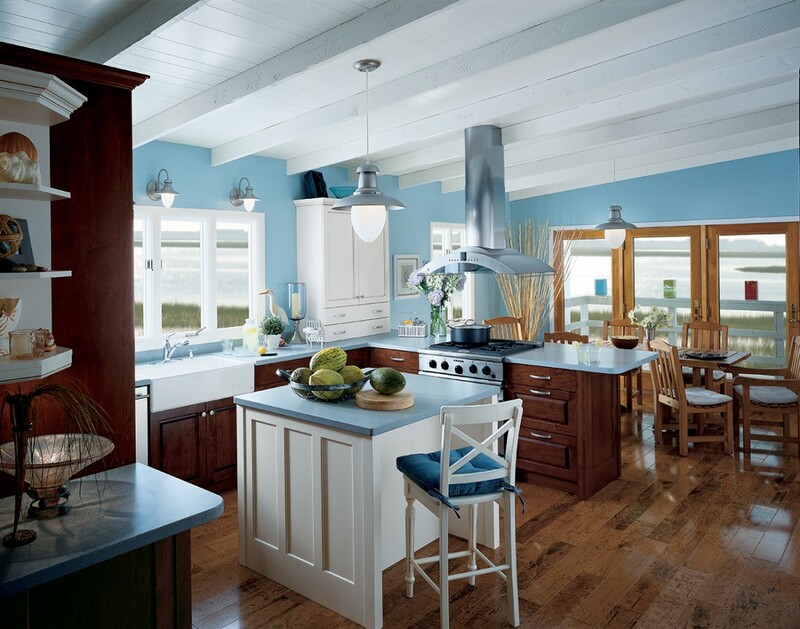 If you are considering a kitchen renovation, Holland Kitchens & Baths is your local expert in providing unique and quality kitchen designs in the West Hartford, Farmington, Avon, Simsbury, West Simsbury, and Canton, CT areas. Please call to schedule a visit with one of our award-winning designers in our showroom so you can see our exquisite work yourself!